Doula applications are closed and the current training is full, applications will reopen early spring you can email doulainfo@ywcagsonc.org to be placed on the waiting list. Doulas are individuals from the community who receive training to provide practical and emotional support to pregnant women and their families before, during, and after birth. Doulas are an addition to the support women receive from nurses, case managers, pregnancy care managers, mentors, and family. Research indicates that moms who have access to doulas have less medically complicated labors, lower rates of cesarean births, decreased length of labor, decreased maternal depression, higher rates of breastfeeding, more positive birth experiences, and healthier birth spacing. Among YWCA participants, working with a doula has led to improved birth outcomes, reduced cesarean births, and increased rates of breastfeeding. Since 2008, 99% of participants matched with a doula have delivered healthy birth weight babies, far higher than county data would predict. We offer trained doulas at no charge to participants who are currently or have previously participated in YWCA teen or young adult childbirth education programs. 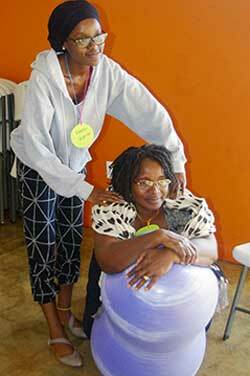 Each year we offer a subsidized training for 25 new doulas through Doulas of North America (DONA). 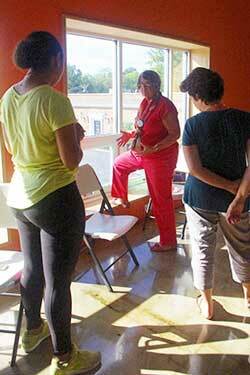 An experienced DONA trainer provides a comprehensive 16-hour training, typically over a weekend in the fall. In exchange for this training, YWCA doulas agree to offer their services to our moms for 3 births as they work toward certification and many of our doulas continue to volunteer their services even after completing certification requirements. Our expectant moms receive valuable doula services at no charge because otherwise they wouldn’t be able to afford the service. YWCA doulas help to address Guilford county’s infant and maternal mortality rates and with the completion of their 3 births our doulas receive their training at an extremely discounted rate. Fill out & submit the Doula Contact Information form. ** Our doula program is a win-win for all involved. Your fee makes it possible for the YWCA to offer cost free doula services to young women in our community who would not otherwise be afforded this opportunity. Included in your fee are the DONA training (16 hours), childbirth classroom hours (14 hours), breastfeeding workshop (4 hours) (all required for DONA certification), 3 or more client match services, and on-going monthly continuing education on a wide variety of doula topics.